Points to Consider Before Writing Any Assignments? Getting started on an assignment or homework can be the hardest step to do. Many a time, students delay their work due to several reasons, such as laziness and negative mindset. If you don’t complete your assignment on time, then you won’t be able to submit it within the deadline. As a result, you will get poor grades in your document that might cause you stress and anxiety. If you want to learn how to get started and overcome the issue of procrastination, then take a look at these tips enlisted by our academic experts. Students must keep a few essential tips in mind before writing an assignment to make it look precise and complete it within the deadline. First of all calculate the number of days you have left and then decide how many words you will have to write each day to complete your work on time. You may forget to write the assignment as you have many other things to do. So, set a reminder as it will help you remember the deadline and eventually reduce the chances of late submission. 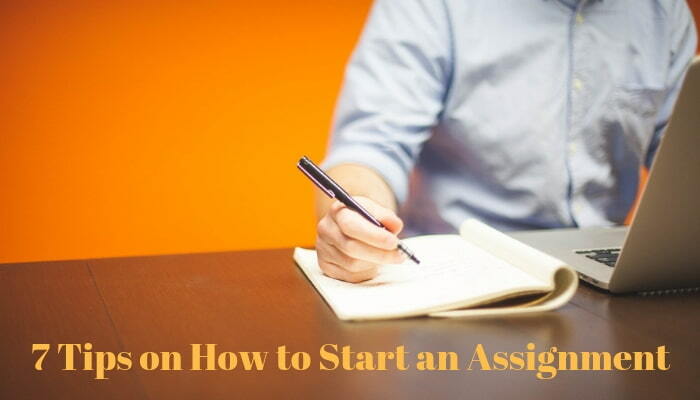 Note down all the essential steps which are required to complete the assignment. After that, find the most appealing and interesting one that you want to work on first. Completing those steps in the beginning will boost your confidence and will make the rest of your work easy and less time consuming. Working on assignment will be easier if you are fresh and focused. Prefer working in the early morning as according to researches, it's the best time to obtain the maximum efficiency. You can also work in small portions of time as it allows you to stay focused and work productively. You keep changing your workplace. You invest so much time in research. You keep taking breaks which leads to loss of concentration. You must avoid doing these things if you wish to complete your task before the deadline. Procrastination mainly occurs because of your low confidence and negative mindset. So, it's necessary to stay confident and motivated to complete the task before the deadline. Submitting documents on time always results in good grades. Before you start writing, make sure that you have understood the topic very well. After that, break it into important points that you want to include in your document. Explaining only the necessary points will save your time as well as make your write-up look precise. When you are going to write an assignment, then you need not worry about the perfection in the first attempt. Drafting a perfect assignment in the first try can make it feel more overwhelming than it should be. How Can We Assist You In Completing Your Assignment? It's tough to overcome all the difficulties and start writing assignments as students have a lot more things to do. So, they look for the various online portal and seek assignment help from them. If you also find it tough to draft a perfect document, then you can take help from us. We have a team of professional writers who provide assistance to Australia based students in completing their assignment. With in-depth knowledge of their respective subject, they always provide excellent quality of document.